"It was hard today. That course was tough with the climb, and I had forgotten about how dead the New Zealand roads are with the big chip, and added to that the wind was quite strong." Jack Bauer's aim was to start the season on a high and the Kiwi didn't disappoint, storming to the win at the National ITT Championships, which he raced for the first time in his career. 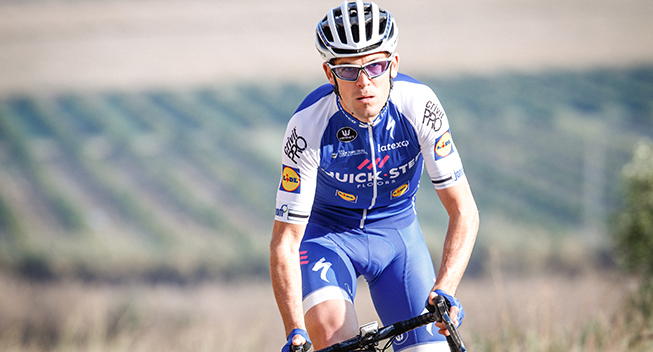 One of the eighth riders to join Quick-Step Floors Cycling Team prior to the 2017 season, Bauer lined up at the start of the 40km-long race against the clock in Napier confident and determined to take a victory early in the season and add the ITT title to the road race one he had already conquered seven years ago in Christchurch. The seventh rider to start the race held under the sunny sky of New Zealand, Bauer – who was showing the colors of Quick-Step Floors Cycling for the first time this season – put in a huge ride, scorching the up-and-down course and setting the best time at the halfway mark, before improving by a substantial margin the best result at the finish and stopping the clock in 51:54, thus going into the hot seat. "I am so thrilled to win this national title and to be able to take the national jersey back to Europe for my new team, who have given me all the support I needed for these championships. My new outfit is a really strong one, with many great riders, and you are aware that being part of such a set-up you have to step up your game and that's what I've done", said Bauer after claiming the win ahead of Jason Christie and Hamish Bond. "It was hard today. That course was tough with the climb, and I had forgotten about how dead the New Zealand roads are with the big chip, and added to that the wind was quite strong. The victory makes me happy, as it's very nice to kick off the season like this. I want to thank to my fiancée and to all the people who came here today for supporting me. My next goal is the road race on Sunday and I hope for another strong showing also there, even though I know that it's not going to be easy. To give the team a second jersey would be nice", concluded Bauer after his and Quick-Step Floors Cycling's maiden victory of 2017. Friday's win was the 40th at the National Championships for the team managed by Patrick Lefevere since its inception, back in 2003.